Use up green tomatoes from your garden with this tasty chutney recipe - it’s delicious on a cheese sandwich. Heat the sugar in a frying pan until the sugar melts and caramelises. Add the white wine vinegar, shallot, garlic, ginger, chilli, sultanas and green tomatoes and bring the mixture to the boil. Reduce the heat and simmer for 1 hour, or until the chutney has thickened and you can draw a wooden spoon across the base of the pan so that it leaves a channel behind it that does not immediately fill with liquid. 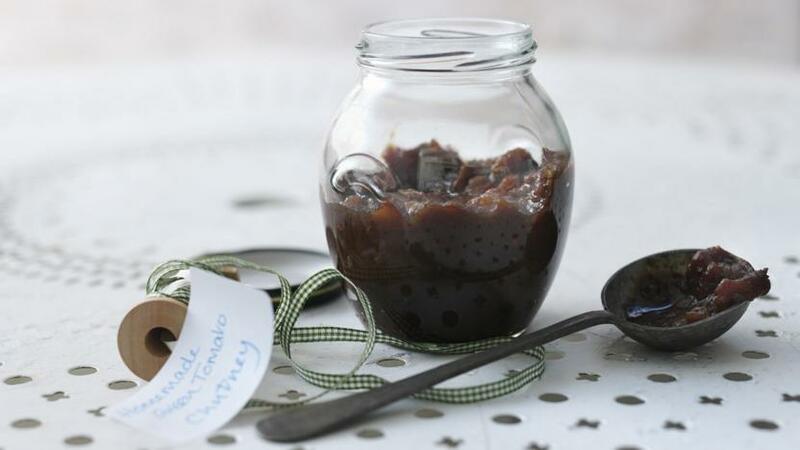 Spoon the chutney into sterilised jars.